Business View Caribbean interviews representatives of the Belize Chamber of Commerce and Industry, as part of our focus on best practices in Belize business. 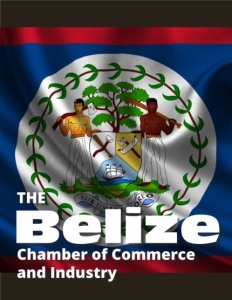 The Belize Chamber of Commerce and Industry is the largest private sector membership-based organization in Belize. Founded in 1920, the Chamber has been consistently championing the causes of its private sector constituency and considers among its primary objectives the social and economic development of Belize through the development of all sectors of industry, services and commerce. Additionally, since 1997, the Chamber is the only recognized “Employers Organization” in Belize under the International Labor Organization’s (ILO) tri-partite social partnership. and Labor through active participation in, and contribution to, relevant representative organizations and bodies nationally and internationally. The businesses that are members of the BCCI include, but are not limited to importers, exporters, manufacturers and producers, auto dealers/distributors, agri-business, agricultural producers, small business enterprises, accountants, attorneys, bankers, engineers, insurance, financial service providers, office communications/computers, airline services, brokers, airline services, brokers, computer (electronic) service providers, furniture manufacturers, publishers, employment and training services, environmental firms, hoteliers, tour operators, tranportation, real estate, trust investment advisors, petroleum, and food and beverage. Member of the President’s Circle – Leaders and trendsetters who enjoy unfettered access to the movers and shakers and the powerful resources of the Chamber. The members of the President’s circle influence perspectives and set trends in public policy and business leadership. Distinguished Member – These business visionaries advance their organizations through meaningful networking and peer interaction. The distinguished member will have greater opportunities to shape public policy and industry development. They enjoy discounted member benefits. Signature Member – This is the entry point to the powerful resources of the Chamber. This basic membership provides the ability to stay on top of issues affecting the business community, input into policy and advocacy positions and discounted member benefits. Associate Member – Associate members want to work with the Chamber on a peripheral level; to experience the resources of the Chamber without making a full-fledged commitment. Association/ Group of Companies Member – Association organizations and Group of Companies who wish to join the Chamber under any of the above four membership levels will be considered as one entity. All Members of the Association and a maximum of five businesses under the Group of Companies will be recognized and will receive full benefits of the respective membership level they have chosen. Individual Member – Being an Individual Member entitles one to invitations to Trainings and Workshops which feature “Issue” Experts, as well as customized trainings, upon request. 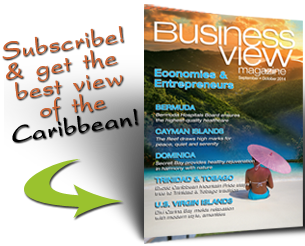 In addition, individual members gain access to Chamber Publications which keeps them up to date on issues that impact Belize’s business society in areas such as international business, and trade and finance. Micro Member – The Chamber, in a vision to Connect, Capacitate, and Champion members created this new membership tier. A Micro Member is a business employing less than five full time employees, has gross annual sales of less than BZ $1,000,000 and has a total investment in plant and equipment of less than BZ $50,000.00.